This Week: Living with a wild animal… Gun control on campus… 9mm vs. .45… And, the two best types of locks to have on your home. My daughter is two years old. Anyone who has kids knows that having a two-year-old is like living with a wild animal. You never know when you’ll walk downstairs to find an entire box of Goldfish dumped all over the kitchen floor… Or you’ll find them drawing all over the walls (again)… Or they’ll suddenly have an epic meltdown because their Tinker Bell pajamas are dirty and they have to wear something else to bed. Because I live with this unpredictable little person, every gun I own is locked up in a gun safe. 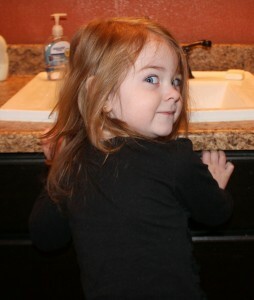 Often times, my daughter follows me around when I get dressed in the morning and get my gun out of the safe for the day. As my daughter gets older, I will continue to teach her about firearms in a way that’s appropriate for her age. When she turns 21 she’ll hopefully get her concealed carry permit and I’ll buy her a gun to protect herself. I especially want her to have a gun for when she goes off to college. You and I know the horrible things that happen on college campuses and I was reminded again of this after reading Amanda Collins’ testimony last week to Nevada lawmakers about allowing concealed carry on Nevada campuses. Several years ago, Ms. Collins was raped in a school parking garage. She had a concealed carry permit but wasn’t carrying at the time because guns aren’t allowed on Nevada campuses. Needless to say, I don’t know what it will take to get the anti-gun crowd to realize “gun free zones” only keep honest people from protecting themselves. 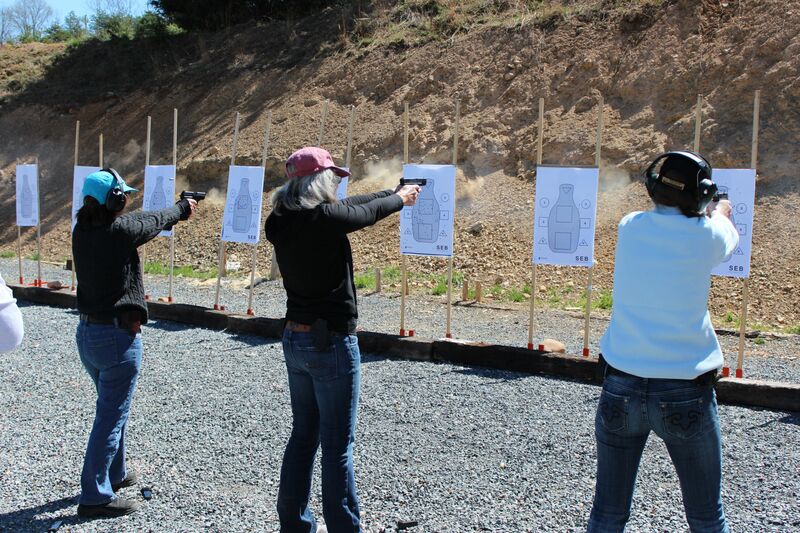 The bottom line is, our daughters and wives are incredibly precious and will probably do more good on this earth than most of us men… so make sure you teach them how to protect themselves whether it’s with a gun, knife or self-defense courses. From Lupy C: Good day…enjoy your updates/reads. Question, do you offer Webinars? If not is that something you will consider in the future? Thank you for this great info. A: Believe it or not, I have never done a webinar. However, I do have one in the works so you will see one sometime in 2015. I will send out an email once the webinar material is ready to go. From Jerry B: Thank you for publishing my letter regarding female members in my family carrying your tactical pens. I hope other men pick up on the idea. I guess it’s true: You can lead a horse to water but you can’t make him go swimming!” Thanks for your efforts, Jason, I guess your prayers are the last thing I can ask for! A: You are correct about leading a horse to water. It makes me think of my daughter. What if I have a liberal, hippie daughter who hates guns? You can teach and lead by example all day long but you can’t force people to carry a gun or any other personal protection tool. From Felix O: I will like to offer this course to a lot of people in Nigeria. Do you think you can do this program over here in Nigeria? Presently I run a science education consultancy in Nigeria. A: In May of this year, I will begin to license my training and have other instructors around the country and world help me teach my courses. I don’t plan to personally come to Nigeria, but you can send me an email if you’re interested in licensing. From Dino G: I am well trained and not a big fan of the 9mm, I am a big bullet guy, 45 ACP and hollow point. The reason for I don’t like the 9mm, being a military guy. We dumped the 38 cal because it lacked the stopping power, 9mm or 38, same difference, to me they are the same bullet. A: I shoot mostly 9mm handguns. I’ve seen all the ballistic tests and with bullet technology these days there is very little difference in stopping power between 9mm and .45. This is why the FBI released the memo a while back about law enforcement going back to the 9mm. From Wayne W: I have Schlage locks on my home and have not been successful using the pick set to get them open. Any thoughts on that? A: You have the right locks on your house. Schlage and Medeco are what you want on your home because they’re very difficult to pick. Kwikset locks are the easy ones and are the types of locks on 75% of American homes. Since they are the most widely used, they are the types of locks we pick during my training. (To get the lock pick set I use, visit www.SafeHomeGear.com. From Ken M: Are you ever coming to Houston, TX? A: I only have two trainings I’m personally teaching this year that are open for the general public. One in Las Vegas (it’s now closed) and one in Washington, DC. If you’d like details on the DC event, visit www.SpySafety.com.